It’s like a sweet cup of a caramel macchiato. The silence of the first snowfall. A porch swing on a perfect spring day. A breeze carried from the surf across your beach blanket. These are the inviting images that came to me as I listened to Carrie Newcomer’s newest album, A Permeable Life. 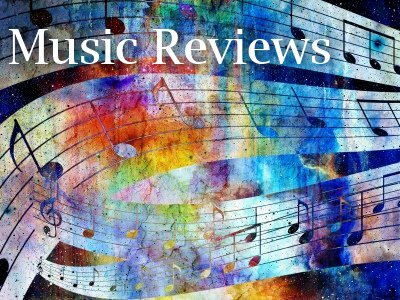 This is Newcomer’s twelfth album, and it will not disappoint those of us who enjoy her music. Newcomer is known in the progressive spiritual community as someone who wants to live out her Quaker roots. She notes, “Our culture reasons that because we feel there is not enough time, we should increase our pace, multitask, and fit more into our already overbooked days. 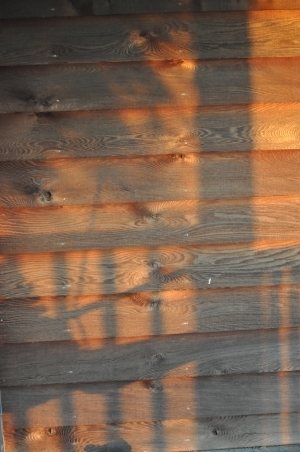 But perhaps the more effective response to the limits of time is to live more fully in the moment, to savor it and expand it out in all directions” (http://www.carrienewcomer.com/artist/). She engages this philosophy fully in her newest album. She succeeded in this goal magnificently. A Permeable Life captures the fleeting seconds of overwhelming Mystery, thinning the veil between the finite human and the Infinite Presence. If I were to pick one of my own photos to represent what the album sounds like, this would be it. There’s much to like on this album. Each track offers a vignette into the Holy’s invitation to us, to engage and respond with open hearts. Carrie teaches us a lesson in gratefulness in her song borne out of her bedtime practice of naming three things that she is grateful for in “Thank You, Good Night.” In “Visitation,” she notes the powerful, painful process of remembering and releasing the memories of our past. “A Light in the Window” brings to mind that there is always Light shining in the darkest moments of our lives. And the sweet cello lines in “The Work of Our Hands” tells a parable of the Holy’s hands at work in the everyday tasks of living – in the kitchens, stores, roads, and hospitals – in the labors of cooks, clerks, road crews, and nurses. 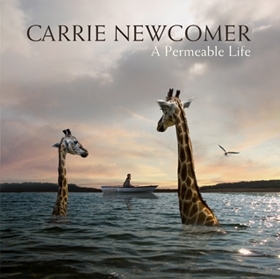 In the real-life questions she sings about, Carrie Newcomer offers us a tender, timeless invitation – to Be Still and Know, to stop, reflect, and savor the moments that transcend this earthly experience, and to respond to the Holy’s Invitation to bring love and grace a little deeper into the lives around us.